Posted on July 15, 2011 by Alice M.
Before you start working, go back to last week’s post and prepare your workspace in the same exact way. You’re going to have to make this a routine. Pretty pretty please? Or at least do something else to block out the world for half-an-hour. It’ll help you focus and be chilled. Good things! In all likelihood, you’re a phonetic speller. Most people are. What does that mean? It means that you have a tendency to base your spelling on the way words sound in your head. If you’ve ever found your artfully crafted “aceptible” or “concience” redlined, you’re a phonetic speller. But what the hell else is there? If you remember learning how to spell as a young child, you might remember that for every spelling rule there seemed to be a loooooot of exceptions. So sounding it out seems to be the only option, unless you memorise the dictionary. Jesus christ, I’m not going to ask you to memorise the dictionary, am I? Am I? Nah. Here’s how you spell like a linguist: you realise that English doesn’t obey one set of spelling rules — it obeys many. The French and the Spanish have governmental regulatory bodies that say what is and what is not acceptable in those languages (I’m not making this up! It’s true! And also kind of cool), but we don’t. So every language that we “borrow” brings its own spelling rules with it. All you have to do is learn to recognise which words come from which language. Wait just a damned minute here. No-one said we were going to take a damned remedial uni course, did they? Where’s all this frou-frou uppity pretentious crap coming from? “Etymological”…hunh. My arse. Go have a look around the online etymology dictionary. Play with it. Ain’t it cool? It doesn’t have every single word ever, but you’ll be surprised at how many it does have. Back? Sweet. Bookmark that baby somewhere, because we’ll be using it from time to time in this webinar. Did you notice how almost every word you searched for, if it was old enough, came from some other language? 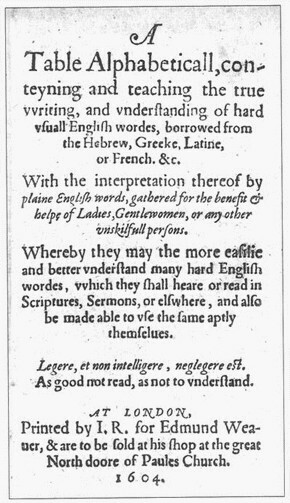 “English” is based on a mashup of Anglo-Saxon, Vulgar Latin (yes, a technical term — look it up), and the sort of French brought over by the Normans in 1066. Which means the two biggest categories of words are what we call “Latinate” (i.e. from Latin and Norman French) and “Germanic” (Anglo-Saxon). “English” didn’t exist before the Romans colonised the British Isles. Think about that for a minute. Latinate words are super, super easy to recognise. They’re the ones that sound snobby! “Accumulate”, “cognisant”, “ameliorate”, “equestrian” — I could go on, if you want me to…? No? You get the idea? Cool. Germanic words are, for the most part, much easier to spell than Latinate words. Examples are: “woman”, “child”, “wolf”, “anybody”, “apple”. More than likely, you already know how to spell most Anglo-Saxon derived words. You probably also know how to decline and conjugate most of them, although some Anglo-Saxon rules can be tricky. “Goose” to “geese”, for example, or “mouse” to “mice”. Decline, declension: Stuff you do to nouns to make them grammatically acceptable in a sentence. Example: “child” becomes “children” when made plural. Conjugate, conjugation: Stuff you do to verbs to &ct. &ct. Example: “to run” becomes “I ran” in past tense first person singular. I’m betting you know how to decline and conjugate Latinate words as well. They’re really, really easy, for the most part. You know. “Add -s or -es for plurals, -e becomes -ed in the past,” blah blah blah. But what about the things you’ll find in lesser amounts? What about modern French or Spanish imports? Try and figure out (without using an etymology dictionary) where each of the following English words came from. Answers next week! Some of them are much more difficult than others. Don’t worry if you have no idea whatsoever — just try to make a good guess. Now here’s the weird part: I don’t actually know all the spelling rules for all of those languages. I don’t really need to. All I need to do is learn how to recognise the family of languages that produced the word. If I do that, I’m off to a really, really good start. Get in the habit of reading with an eye for the way different languages sound. Use the online etymology dictionary copiouslyLatin and you’ll start adding parentheticalGreek notes to every new word you encounterFrench.